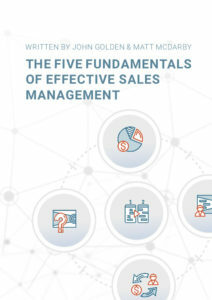 The Five Fundamentals of Effective Sales Management by John Golden - SalesPOP! 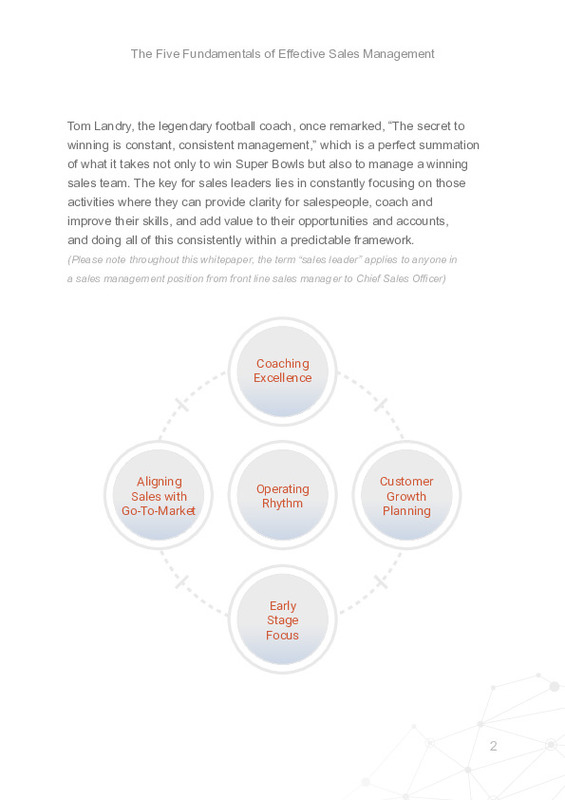 Tom Landry, the legendary football coach, once remarked, “The secret to winning is constant, consistent management,” which is a perfect summation of what it takes not only to win Super Bowls but also to manage a winning sales team. 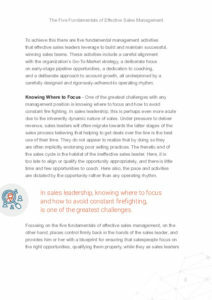 The key for sales leaders lies in constantly focusing on those activities where they can provide clarity for salespeople, coach and improve their skills, and add value to their opportunities and accounts, and doing all of this consistently within a predictable framework. 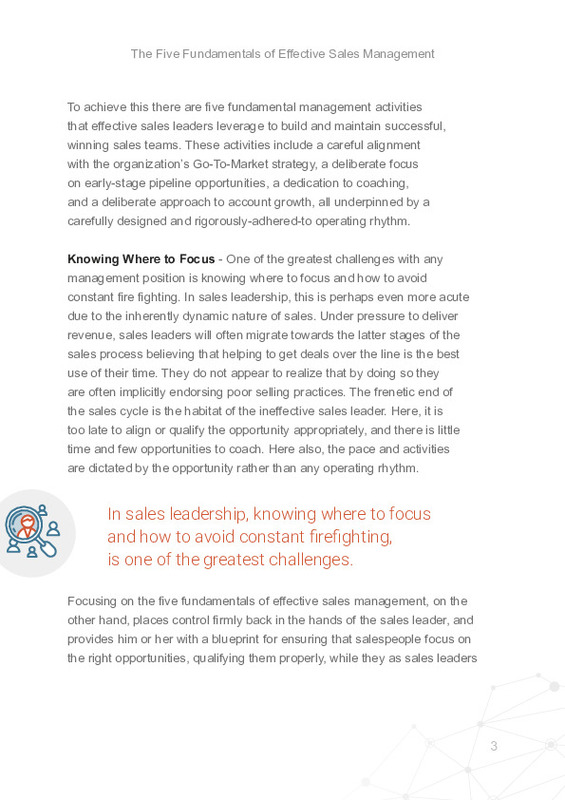 To achieve this there are five fundamental management activities that effective sales leaders leverage to build and maintain successful, winning sales teams. These activities include a careful alignment with the organization’s Go-To-Market strategy, a deliberate focus on early-stage pipeline opportunities, a dedication to coaching, and a deliberate approach to account growth, all underpinned by a carefully designed and rigorously-adhered-to operating rhythm. 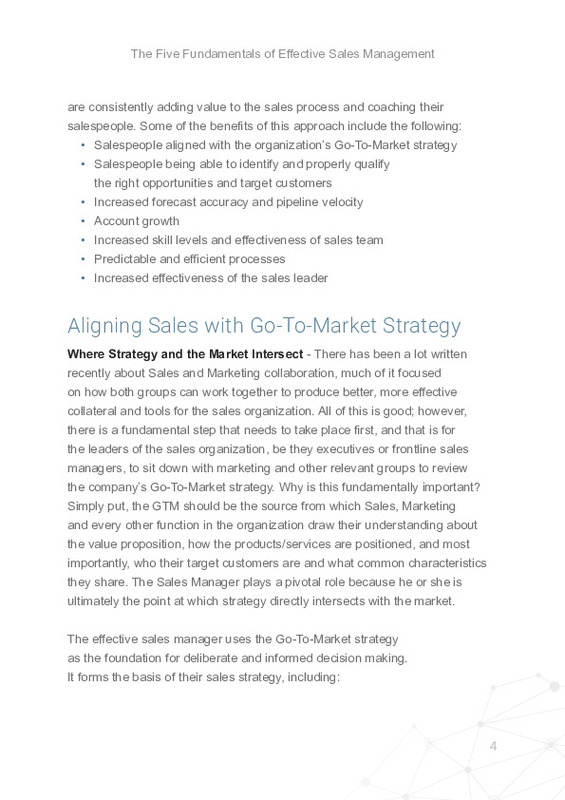 Where Strategy and the Market Intersect – There has been a lot written recently about Sales and Marketing collaboration, much of it focused on how both groups can work together to produce better, more effective collateral and tools for the sales organization. 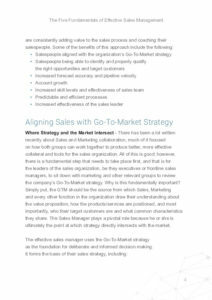 All of this is good; however, there is a fundamental step that needs to take place first, and that is for the leaders of the sales organization, be they executives or frontline sales managers, to sit down with marketing and other relevant groups to review the company’s Go-To-Market strategy. Effective sales managers understand where they should invest most of their time and where they bring the greatest value to both individual salespeople and the organization itself. It is not, as is so often the case, in being the “super closer” parachuting in at the end of a sales cycle to rescue a deal or push it over the line; rather it is at the other end of the sales cycle completely. As is the case in sports, music, dance, and other disciplines that require ongoing commitment and hard work, coaching is a key enabler to great performance in professional sales. Account planning in many organizations tends to be an annual or otherwise infrequent, periodic process by which management extracts somewhat useful information from the sales force about key customer relationships. In the most effective sales organizations, account planning is a more frequent and more valuable process by which sales teams develop and launch effective strategies for growth, based on their ability to address issues and opportunities that are strategically important to their customer. 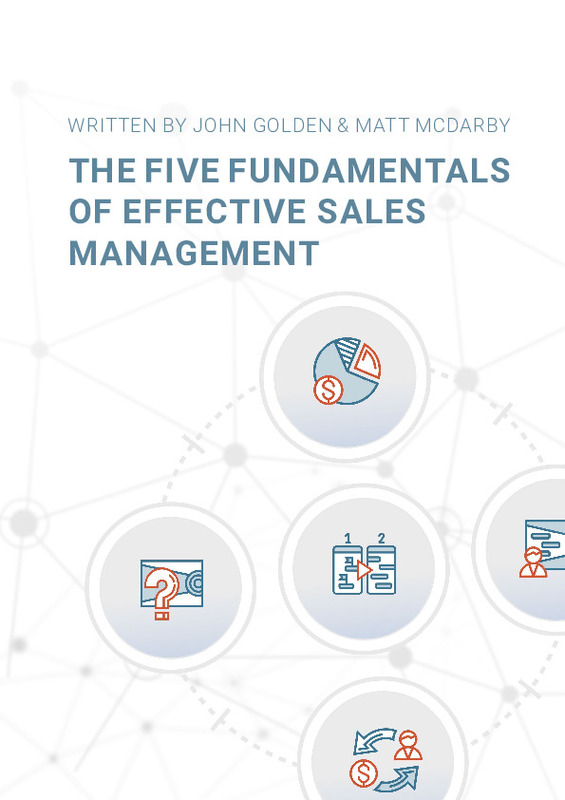 Download The Five Fundamentals of Effective Sales Management now. 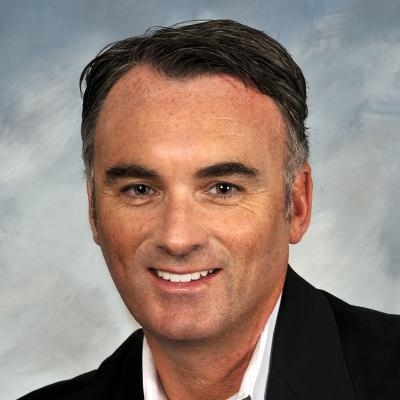 Pingback Business Processes are Vitally Important—But When Should They Be Developed? - SalesPOP!